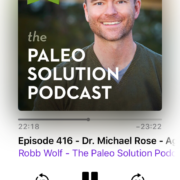 Primal Plunge – Primal Lifestyle: Why? Why Do People Adopt a New Diet? 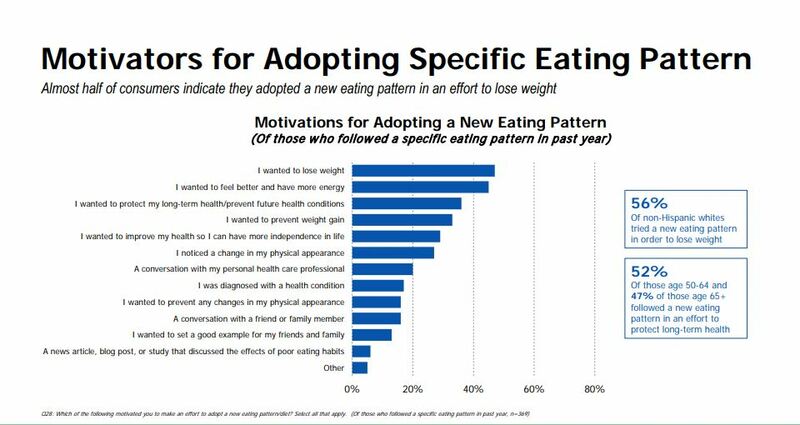 According to the 13th Annual Food and Health Survey commissioned by International Food Information Council Foundation, the most prevalent motivation to adopt a new “eating pattern” is weight loss. Surprise, surprise. It’s hard to argue with any of these motivators it seems to me. 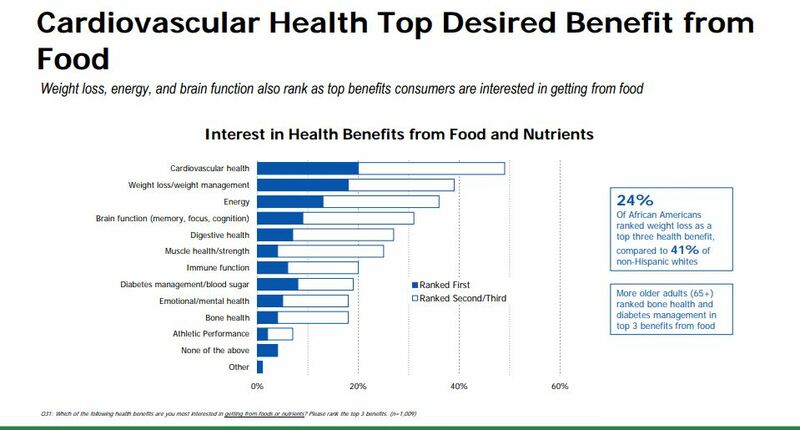 And the desired benefits largely line up with those motivators, with cardiovascular health and weight loss being the top two. But so what? I suppose it probably lines up with the survey results, or perhaps not, and I’m not so sure our individual motivations are all-important. The motivator that finally pushed me to make the lifestyle changes necessary to permanently improve my health was a major health crisis; a diagnosis of Hashimoto’s disease, which brings with it a 3 times higher likelihood of developing thyroid cancer. Maybe what brings you to the tipping point is your own health crisis, or a burning desire to be able to play with your kids, and your kids’ kids. 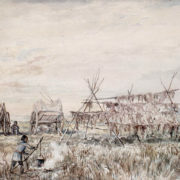 Maybe it is a desire to finally break with a family history of obesity, diabetes, heart disease, cancer, or any of the many chronic “diseases of civilization.” The fact that we can refer to such a thing as “diseases of civilization,” or “lifestyle disease,” is an important clue. When you understand Key Concept #1, “Yes You Really Can Reprogram Your Genes,” in other words your DNA is not your destiny, you will also know that you have the power to break a generational cycle. And think hard on what it would mean to leave that legacy. 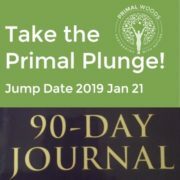 Can the Primal Plunge Help You? If I didn’t believe that it could, I wouldn’t be wasting time writing this post. My firmly held belief is that YOU are worth the investment. But let’s assume that you do not agree with me. Are your children worth the investment, or their children? I’m guessing like most you underestimate the power you wield, the power you wield when taking a stand for your health, and by extension the health of those closest to you. What you or I have to say might not carry the day, but who you or I choose to BE just might. Perhaps it’s just as easy as adhering to the USDA’s Food Pyramid, or its successor, My Plate. How hard can it be? It’s not quite as simple as that. 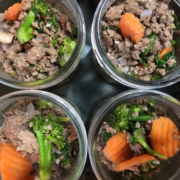 You will also learn that there is no one optimal diet for all, and certainly not for 330 million Americans, young and old, male and female, and of all the colors of the rainbow. The melting pot, remember? Conversely, it has everything to do with evolution, your evolution, your ancestry. 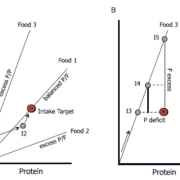 We can help you to navigate the path to the sources of nutrition that are optimal for YOU. What you put in your mouth is only touched upon by 2 of the 10 Primal Blueprint Laws. If you want to learn more about how deep the rabbit hole goes, see my recent post on the Primal Plunge. If you are ready to jump NOW, hit the button just below and be on your way; I’ll see you there! 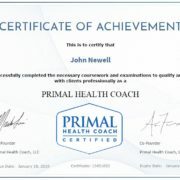 https://primalwoods.com/wp-content/uploads/2019/01/Motivation.jpg 510 960 John Newell https://primalwoods.com/wp-content/uploads/2016/04/logo200.png John Newell2019-01-16 07:57:042019-04-15 08:25:58Primal Plunge - Primal Lifestyle: Why?